Northwest A&F University is a key national comprehensive university directly under the administration of the Ministry of Education. It was established on September 11, 1999 by merging seven teaching and scientific research institutions in Yangling, Shaanxi Province, namely Northwest Agricultural University, Northwest Forestry College, Institute of Soil and Water Conservation, Northwest Institute of Water Resources Science, Shaanxi Academy of Agricultural Sciences, Shaanxi Provincial Academy of Forestry, and Northwest Institute of Botany. The university is jointly constructed and administrated by both Ministry of Education and Shaanxi province, with major issues managed by the Ministry of Education and routine business by the Shaanxi Provincial government. In June, 2004, the university was among the second group universities in “Project 985”, a national project aiming at developing Chinese universities into world-class institutes of higher learning. The history of the university dates back to the National Northwest Junior College of Agriculture and Forestry, which was founded in 1934 by Mr. Yu Youren, a senior official of the Kuomingtang. Northwest Agricultural University originated from the National Northwest Junior College of Agriculture and Forestry, which was founded in 1934. In 1938, the Junior College merged with the Agricultural College of the National Northwest Associated University and the Animal Husbandry Department of the Agricultural College of Henan University, to form the National Agricultural College. 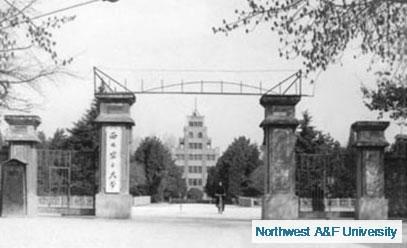 The college was renamed as Northwest Agricultural University after the founding of the People’s Republic of China in 1949. With the approval of the Ministry of Agriculture, Animal Husbandry and Fishery, the university was renamed as Northwest Agricultural University in 1985. It merged with other research and education institutions to form Northwest A&F University in September, 1999. Northwest Forestry College, originated from the Forestry Department which was founded in 1934 as one of the department in the Northwest Agricultural College, was established in 1979 as an independent institution under the authority of both Ministry of Forestry and the Shaanxi Provincial government. The Ministry of Forestry had the greater responsibility for the management of the College. Northwest Forestry College became part of Northwest A&F University in September, 1999. Institute of Soil and Water Conservation of the Chinese Academy of Science and the Ministry of Water Resource originated from the Northwest Agricultural Biological Institute, which was established in Wugong County, Shaanxi Province in 1954. 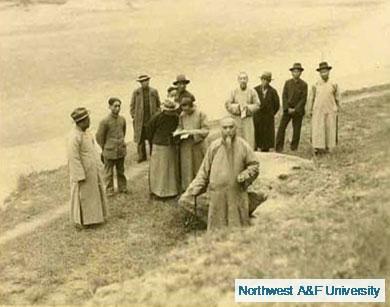 The institute undertook a series of name changes beginning with the Chinese Academy of Science’s Northwest Agricultural Biological Institute in 1955, followed by the Northwest Institute of Biological Soil Research, the Northwest Biological Soil Research Institute of Soil and Water Conservation, the Chinese Academy of Science’s Northwest Institute of Soil and Water Conservation, the Chinese Academy of Science and Ministry of Water Resource’s Northwest Institute of Soil and Water Conservation, and finally the Ministry of Water Resource’s Institute of Soil and Water Conservation in 1995. The institute was identified as one of the research institutes for the “Knowledge and Innovation Project” under the Chinese Academy of Sciences in 1998 and became a part of Northwest A&F University in September, 1999. Northwest Institute of Water Resources of Ministry of Water Resource dates back to the Wugong Hydraulic Engineering Research Laboratory, which was taken over by Northwest Agricultural College and the Central Hydraulic Engineering Institute in 1940. It was included as part of the Northwest Hydraulic Research Institute in 1952 and successively renamed as the Northwest Water Science Institute, the Shaanxi Provincial Hydraulic Research Institute, the Northwest Water Science Institute of the Ministry of Water Resources, the Shaanxi Province Hydraulic Research Institute, and the Northwest Hydraulic Research Institute of Ministry of Water Resources. The Institute merged with other research and education institutions to form Northwest A&F University in September, 1999. 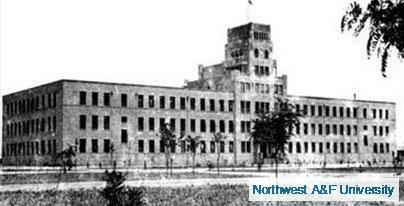 The Shaanxi Provincial Academy of Agricultural Sciences, formally known as the Northwest Institute of Agricultural Science, was founded by the Department of Agriculture and Forestry, Northwest Military-Political Committee in 1952. It was governed by the Ministry of Agriculture in 1954 and co-administrated by the Chinese Academy of Agriculture and the Shaanxi Provincial Bureau of Agriculture and Forestry. It was renamed as the Chinese Academy of Agriculture’s Shaanxi Branch in 1958. In 1973, it was renamed as the Shaanxi Provincial Academy of Agriculture and Forestry under the jurisdiction of the Shaanxi Provincial Bureau of Agriculture and Animal Husbandry. t became the Shaanxi Provincial Academy of Agricultural Sciences in 1983 and merged into Northwest A&F University in September, 1999. The Shaanxi Provincial Institute of Forestry was founded in 1958 as a specialized institute under the Shaanxi Branch of the Chinese Academy of Agricultural Sciences. In 1980, it was established as a independent institute under the authority of the Shaanxi Provincial Forestry Bureau. It was renamed as the Shaanxi Provincial Academy of Forestry in 1998 and then it joined Northwest A&F University in September 1999. The Northwest Institute of Botany was part of the Shaanxi Provincial Branch of the Chinese Academy of Science. The Institute originated from the Northwest Institute of Botany, a comprehensive professional botany research institution established by the Chinese Academy of Sciences in 1965. The Shaanxi Provincial government became responsible for it’s administration in July 1970. The institute was renamed as the Northwest Institute of Botany in 1982 and then the Shaanxi Province Northwest Institute of Botany, Chinese Academy of Sciences in 1991jointlt administratedby both Chinese Academy of Science and Shaanxi Province. In September 1999 it became a part of Northwest A & F University.